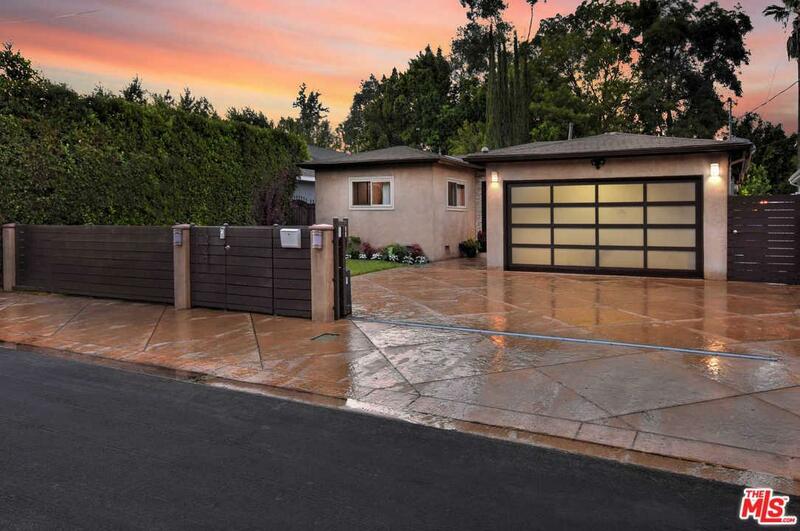 Contemporary ranch style home in Studio City! 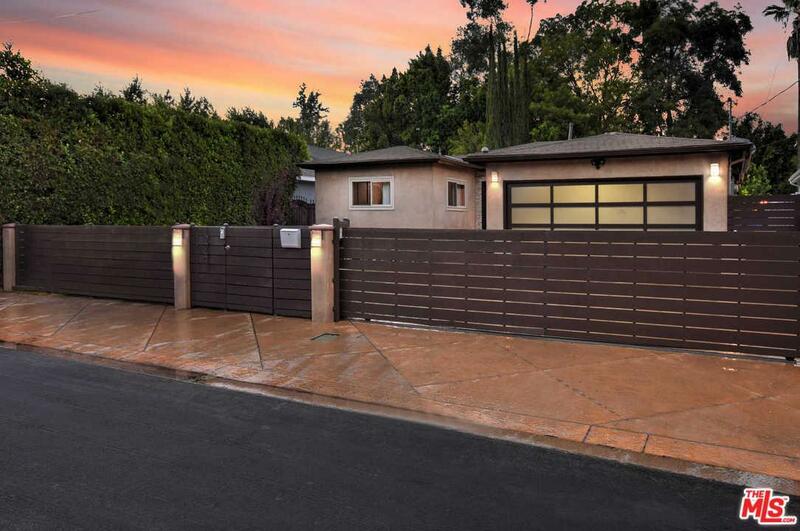 Located in the extremely sought after area of the Beeman park neighborhood and close to all that Studio City has to offer. Walk through the inviting double door entryway leading you into a spacious, marble floor foyer and a bright oversized great room with high ceilings lined with several solatubes. Beautiful wood floors lead you to a fireplace and dual windowed doors that open to the large backyard, subtly blending indoor lounging with outdoor entertaining. The formal dining room flows into the great room with the same wood floors. The cooks' kitchen includes granite countertops throughout, complimenting the marble floors lining the kitchen area. An oversized center island with a chef's dream prepping station coincides with the stainless steel Viking appliances and generous walk-in pantry. The home offers four spacious bedrooms including a master with high ceilings and a private junior master suite located on the opposite side of the home. 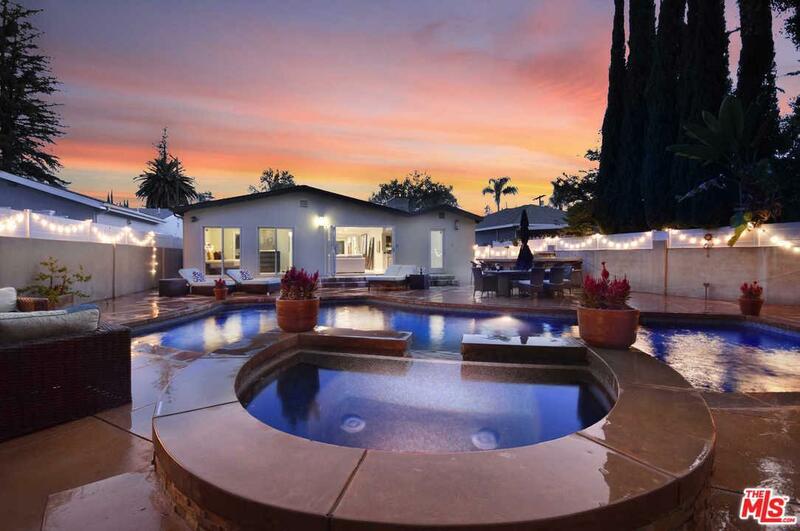 Sold by Henriett Novak BRE#01215678 of Compass. 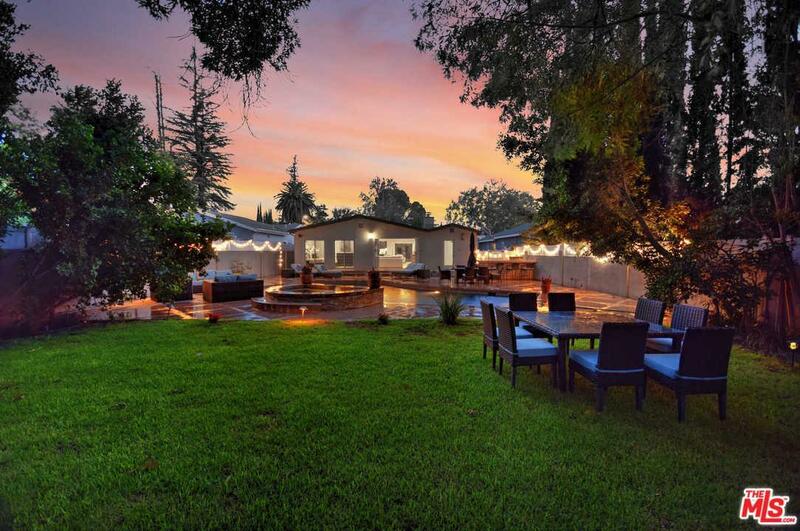 Listing provided courtesy of Rebekah Schwartz DRE#01215678 of The Agency and Zach Sklar CA DRE# 01453593 of Hilton & Hyland.